Kudos is a High End production company that values distinctive content and they are looking for writers with strong original voices and bold ideas. Kudos North is specifically looking for dynamic stories and characters that radiate a northern authenticity. They want to see a script that tells them who you are as a writer and which shows a level of professionalism and distinctive voice. This opportunity is open to writers residing and working in the North of England on a full time basis or those writers who can demonstrate a clear understanding of the culture of the North and be confident that they can deliver authentic dialogue and relevant Northern stories in a fresh and original way. For this opportunity, they are asking writers with at least one produced credit to apply – that could be a theatre play, a radio drama, a commissioned online drama episode, a commissioned film or a credit(s) on a continuing drama. In other words if you are yet to have an original TV Drama produced they want to hear from you. 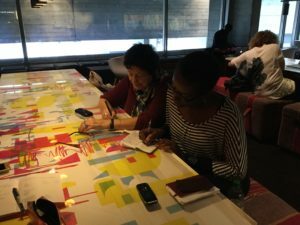 Two successful writers will be chosen, and each will be awarded £2000 to develop an idea to be pitched initially to the BBC and potentially other broadcasters. How to apply/what to submit: All submissions must be made here via the BBC WritersRoom E-Submissions system. A original drama script written for radio, TV, stage, film or online platforms which should be at least 30 pages long. 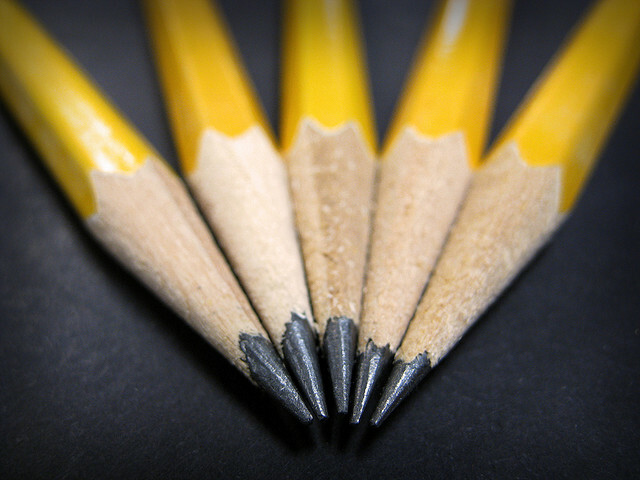 A brief biography of work to date – highlighting your produced credit(s). D) The writer’s skill in inhabiting the characters and developing convincing relationships between them. Entries will be whittled down to a long-list of up to 20 entrants who will then be asked to submit a one page pitch for an original TV Drama idea. This idea must reflect life in the North of England and deliver characters and stories, from the North, in a fresh and original way. Kudos North will then read the long-listed scripts and pitches and select up to 6 finalists. These 6 writers will be invited to an interview, with the judging panel, where they will have the opportunity to discuss their writing, their pitch and experience in more detail. informal chat with the team. You can show a scene, a sketch, a plan, a vision or you can simply tell them about it. If you have produced it in the past, they would like to see any documentation of the piece. They will then take a week to respond to every applicant with their decision. The chosen productions will be invited again for booking by the end of November. They will announce the winter season within the first week of December. They are offering either a short run (from one evening to a whole week) or a full two/three weeks of performances, depending on your needs and their ability to facilitate it. How to apply: Send your proposal to submissions@landorspace.com. 1. Write max. 300 words about your performance. Please be specific, clear and explain what makes it distinctive. You will have a chance to expand on your proposal during your presentation. 2. Write max. 250 about the artist / company (cast, creative team and other collaborators) What do you do and why? 3. Please describe the technical elements of your show: running time, technical and set requirements, how many performances you wish to have and any other details you believe they should consider. 4. One page CV (of the main applicant, whoever they may be). * Please make sure you have all the rights and permits to use any materials which demands so. * Please make sure you have the agreement of all participants in your project before applying. Deadline:13 November 2017 at 2pm. TALOS: the Science Fiction Theatre Festival of London returns on 22-25 March 2018 at the Bread & Roses Theatre. The festival is seeking submissions of plays with science fiction elements (related genres such as contemporary fantasy will also be considered). They are accepting short plays between 5 and 30 minutes long as well as one act plays of up to 60 minutes. They welcome script submissions written in (or translated into) English, new or previously produced. How to apply: To apply, send you scripts as a PDF attachment to talosfest@gmail.com. Please include a short bio and a synopsis in the body of your email and put TALOS SUBMISSION: [PLAY TITLE] by [AUTHOR] in the subject line. Halloween – the perfect time for carving pumpkins, finding the best scary costume and… going to the theatre? 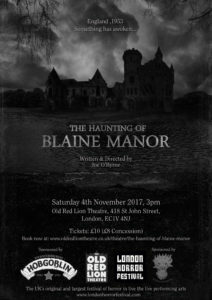 Horror may not be the most well-known genre when it comes to theatre, but its value is being championed by the London Horror Festival (LHF) with a series of spectacular and spooky shows. 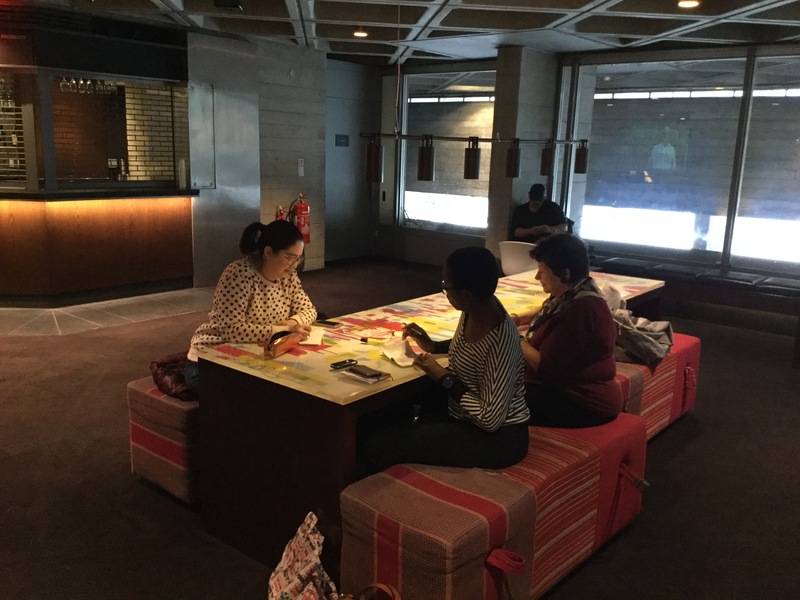 Wanting to find out more about the role of horror in theatre, I caught up with the producer, Katy Danbury, of the LHF for a chat. JR: Why did you decide to launch the London Horror Festival? 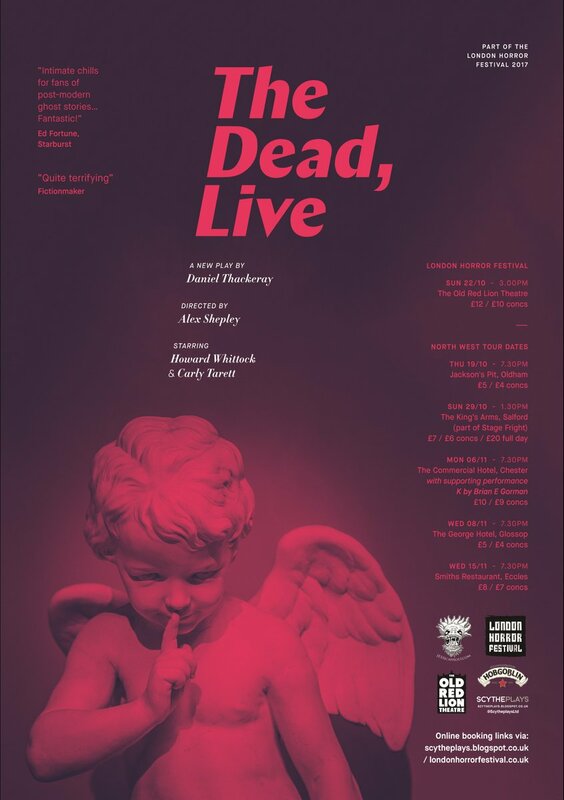 KD: The LHF was founded by Theatre of the Damned, a company dedicated to exploring the potential of onstage horror, who ran the Festival from 2011-2013. Their specialism was Grand Guignol and in 2011, rather than just staging another show of their own (Revenge of the Grand Guignol), they decided to find a way to bring as many people as possible together under one roof and create a platform for like-minded writers, directors and companies to display their work. Thus the LHF was born and various Producers have continued the model since! JR: Horror isn’t a typical genre you see in theatre. What do you think could be the cause of this? KD: As a huge fan of the genre I find it shameful how little horror you find in the theatre. Perhaps people think it will literally scare audiences away! 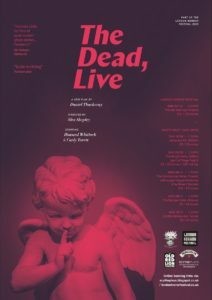 But let’s look at the classics – Ancient Greek tragedies, Christopher Marlowe’s ‘Doctor Faustus’, William Shakespeare’s ‘King Lear’ and ‘Titus Andronicus’ – the infamous occurrences of these plays have never stopped theatre-makers from staging them before. I think the ‘horror’ label is often misunderstood – people assume it’s all about jump scares and gore but it’s so much more than that. Horror forces us to confront the darkest parts of humanity and dig into the repressed parts of our psyche. Some artists choose to frame it in a comic way, forcing us to laugh out our fear, and others choose to confront it head on, no holds barred, by challenging societal norms and niceties and putting taboo subjects centre-stage. 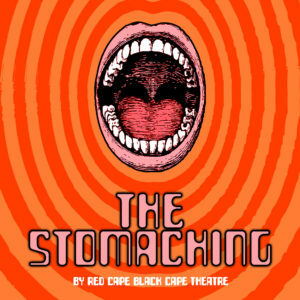 Outside of theatre, horror has a gargantuan following and this festival works to encourage genre fans who might not normally go and see a play into a theatre space to enjoy the pleasures of the live experience. Most importantly, regular London theatre audiences can come and see something different every Halloween season. JR: Why do you love horror at the theatre? KD: The best thing about watching horror in the theatre is that you are trapped in there with it – you’re not protected by a cinema screen or the page of a book – it’s right there before your very eyes or, if the fourth wall is broken, in your face!! 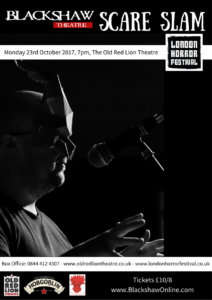 The Old Red Lion Theatre (where the festival takes place) is a suitably gothic-looking, intimate space and any escape attempt will force you to walk along the front on the stage right next to the action! 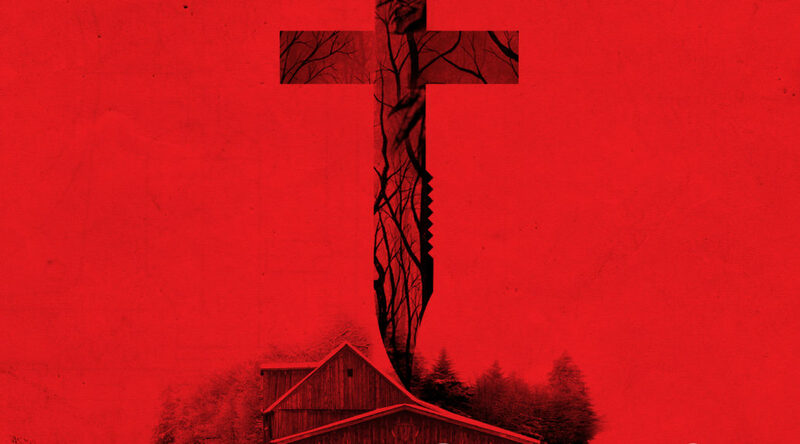 Watching horror is an incredibly cathartic experience and sometimes we need to see how far we can push the boundaries of decency to truly understand why we set those moral guidelines and societal expectations in the first place. Theatre visually demonstrates answers to our ‘what if …’ questions- it is important to see these horrifying things on stage as well as being entertained! 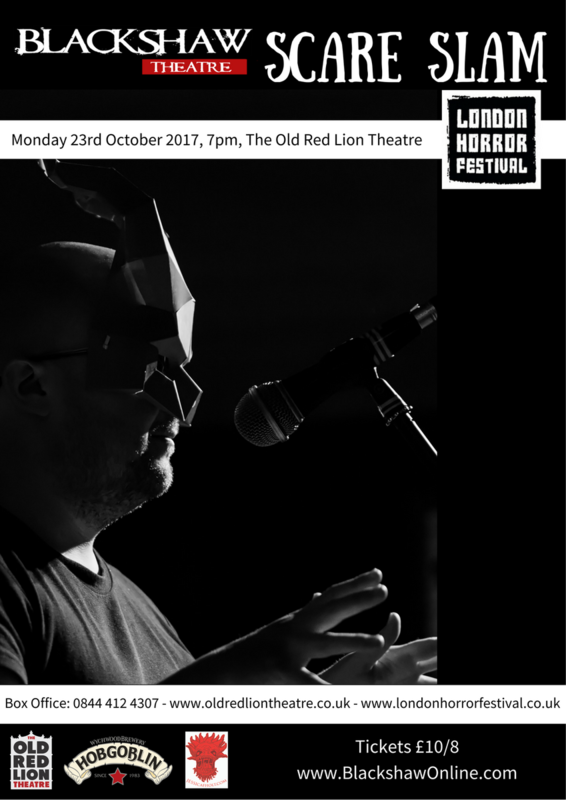 JR: If you’re a playwright or theatre on a low budget, how could you manage the scale of production that horror can often involve? KD: I’ve seen horror staged on a multitude of scales and it is always fascinating to see what companies on the smallest budgets come up with. You have to be particularly creative when staging special effects as you can’t trick the audience with a camera angle. Be inventive. If the play is asking for particular visual tricks then there is probably a clever means to achieve it through theatrical sleight of hand. Theatre is the perfect medium in some ways as the contract you have with the audience from the start is one in which they are immediately asked to suspend their disbelief. It’s also worth bearing in mind that the plays that unsettle us he most might simply require one person on stage telling a story! JR: Your playwriting competition supports new writing, which we love at LPB! What tips do you have for emerging writers who may want to try writing horror? KD: Horror is a hugely broad genre. You don’t necessarily need blood, guts and ghosts. Some of the best plays we read this year were concerned with the horror of being a human in 2017! That’s terrifying! Write about what scares you but don’t sell out your characters for cheap scares. The more your audience can invest in the story and its repercussions on the protagonist, the more you’ll have them on the edge of their seats! If they don’t care about your characters then all fear is eliminated. JR: What horror play would you recommend to our readers who want a Halloween fright? KD: If you’re prepared to be shocked, sickened and truly disturbed then we recommend some of our world premieres – ‘The Men Who Made Frankenstein’ for a grim body horror by Second Self, ‘Father of Lies’ by Bête Noir Productions for a chilling story inspired by true events involving satanic cults, or ‘The Stomaching’ by Red Cape Black Cape Theatre for a trippy 60’s medical horror! 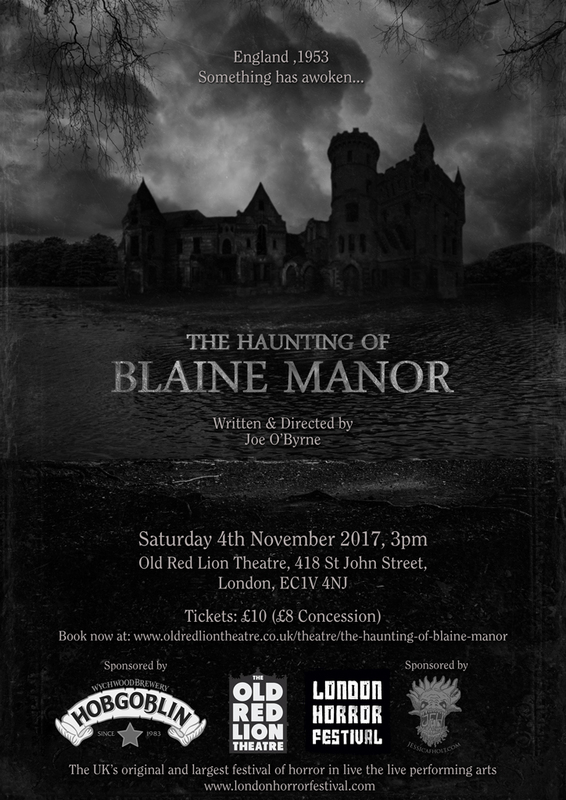 The London Horror Festival is on at the Old Red Lion Theatre until November 4. All images used in this piece are posters for upcoming shows, which you can find out more about here. Old Diorama Arts Centre have put out an open call for submissions. They are looking for new work of up to 10 minutes in length to be put on as part of their new performance night taking place on 7 December 2017. The call out is open to monologues, short plays, songs, dance, or performance art. How to apply: To apply, send a 250 proposal of the piece you wish to write/perform, along with your contact details and any web-links to your work (if available) to create@diorama-arts.org.uk. Description: The Oxford Samuel Beckett Theatre Trust Award is open, and seeking submissions. The purpose of the award is to help the development of emerging practitioners engaged in bold, challenging and innovative performance and to encourage the new generation of creative artists. The Award is for a company or individual to create a show either for the Barbican’s studio theatre, or a site-responsive show to take place in east London or the City. The winning show will premiere as part of the Barbican Theatre & Dance season in 2019. The proposal must therefore be for an original and unperformed piece of work that is available for production and unattached to any other venue or company. What’s so great about it? This is a great opportunity for any individual or company wanting to take the next big step in their career. If this seems like the perfect opportunity for you, you have until 6 November 2017 to apply. Applications for CNW 2018 are now open for three sets of 6 workshops – Winter 2018, Spring 2018, Summer 2018. Each set of 6 workshops will welcome 6 writers to the stage of the Criterion Theatre for a sequence of highly-focused script development sessions. Course content: There are six fortnightly sessions in each workshop sequence. (If you apply, it is important that you should be able to attend all six sessions.) Between the sessions, you will need time to write new scenes and give constructive editorial help to the other writers. Winter workshops will run from 16 January 2018-27 March 2018. Spring workshops will run from 10 April 2018 – 19 June 2018. Summer workshops will run from 10 July 2018 – 19 September 2018. Please see here for full information on times and dates. Cost: The workshops are free, and travel expenses of up to £20 per session are available on presentation of receipts. In late spring 2018, Jermyn Street Theatre is reviving Noel Coward’s great Tonight at 8.30. This is the first time in London since 1936 that all nine of Coward’s one-act plays will have been performed together. Tonight at 8.30 explores themes of loneliness, relationships, family, fidelity, marriage, and performance. It does so with deep compassion and Coward’s characteristically sparkling wit. Playing in repertory with Tonight at 8.30 will be a new trio of one-act plays: Tomorrow at Noon. Tomorrow at Noon will be a contemporary female response to Tonight at 8.30. Perhaps engaging with the mood, themes, characters or plot of one or more of the Tonight at 8.30 plays, each of the three Tomorrow at Noon plays will offer a vibrant 2018 reply. For this, Jermyn Street Theatre are seeking three female playwrights. 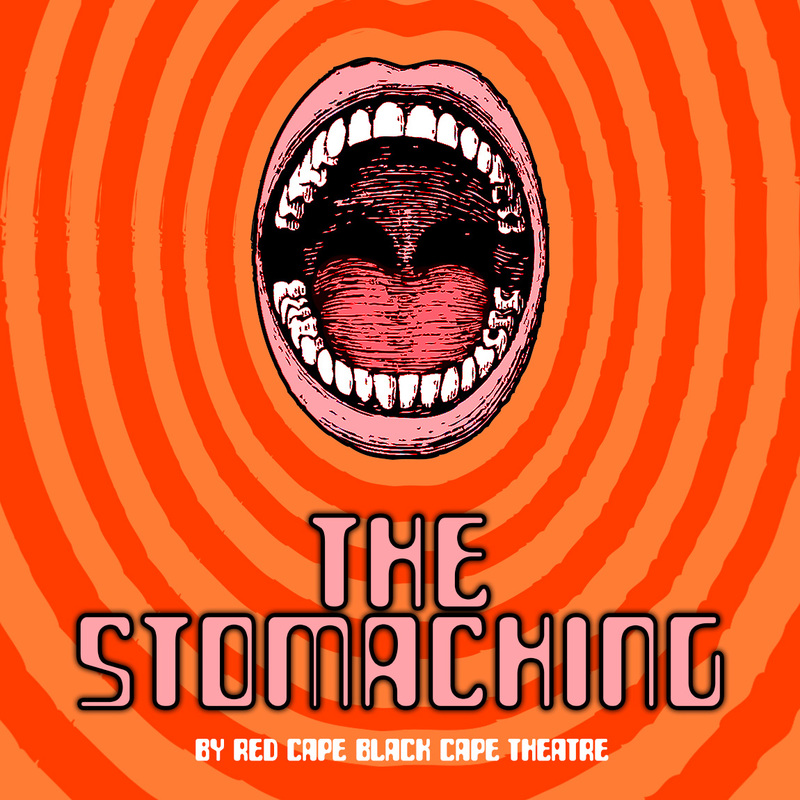 * A professional production, featuring three actors, which will play in rep for five weeks with Tonight at 8.30 during late spring 2018. Applications to write for Tomorrow at Noon should be anonymous. Rather than read full-length plays of all styles, they would like applicants to read Noel Coward’s play Still Life (which was later adapted to become the film Brief Encounter). A copy of Still Life is downloadable from http://www.jermynstreettheatre.co.uk/jobs/ under the file ‘bookscanlg’. You might take one of the Still Life characters who interests you; transpose the story to the present day or the future; take one of the play’s themes and explore it in a totally different way; be interested by the style of Coward’s writing; write something else in the waiting-room setting or a modern version of it; argue with Coward or agree with him. It could be funny, witty, sad; it could be naturalistic or expressionistic; it could use contemporary theatrical devices or remain in the world of the well-made play. They encourage you to put women at the heart of your submission and to think diversely about casting. But – crucially – they want to hear your voice and your story, not an imitation of Coward’s. This will not be the play they finally commission. It’s purely an application exercise to see how you respond to the material and the challenge. 1. An email with your name and contact details, and the title of your entry. 2. A single attachment (in Word and PDF). On the first page, please put a title for your suggested play, and your birthday minus the year (e.g. ‘Hope Springs / 25.12) but do not put your name, agent details or contact details! On the second page, please put the synopsis. On the third page (maximum of five pages), please put your sample scene.